A recipe blog, laced with food memories from the past and present. Cumin, can be added to many curries as a seed or ground into a powder. In fact, one of the popular spices in most curries IS cumin, believe it or not. 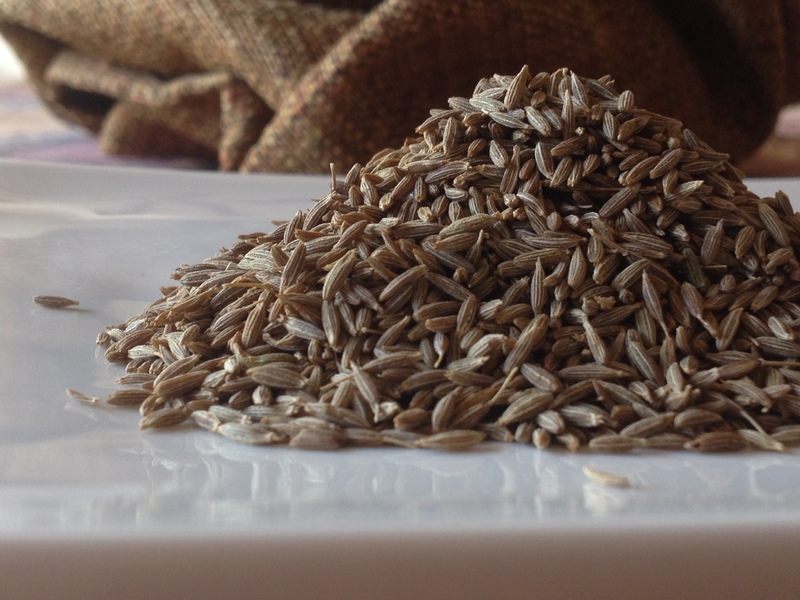 Cumin seeds are slightly crescent shaped with ridges appearing lengthwise around them. Don’t let the seeds fool you, they may look dry and dusty but the magic is all inside. In seed form they taste earthy with pungent undertones. Cumin seeds are used either at the initial stage of cooking a curry or they are popped in hot oil and sprinkled at the end as a garnish. The hot oil enhances the deep and nutty aroma of the spice. The flavor of the cumin really kicks in when it is cooked. For the Love of Ghee! Ghee is the true essence of the food I grew up eating as a child. Being of Indian heritage and growing up in Zimbabwe, I am proud to say I have stayed well connected to our indian culture, tradition and most importantly the food. a bowl of fluffy rice dowsed in ghee and a spoonful of sugar. Pure heaven! a square of perfectly made barfi, an indian sweet confectionary made with milk. a delicate biryani doused in ghee. Taking days to make with the utmost attention to detail and made with the finest ingredients. hadur waro keer – a warm milky concoction, an antidote to a cold and cough, made with ghee and turmeric, sweetened with jaggery. Perfect on a cold wintery day before bed time. However, I’d absolutely devour a good steak and kidney pie in a heart beat. That’s the great thing about growing up in Zimbabwe, I ate as much homebound indian food, as well as, tonnes of food influenced along the way by british cookery. Hot, yummy and crispy fish and chips made to perfection. and let’s not forget Shepherds pie, just to name a few. As an Indian who grew up in Africa, I have a unique twist on classic Indian recipes. As well a bounty of European and now American recipes to share. Please join me in my epic adventure in jotting down these glorious finds. Enjoy, comment, and let’s make ghee!! All recipes and photos on this blog are the copyright of fortheloveofghee.